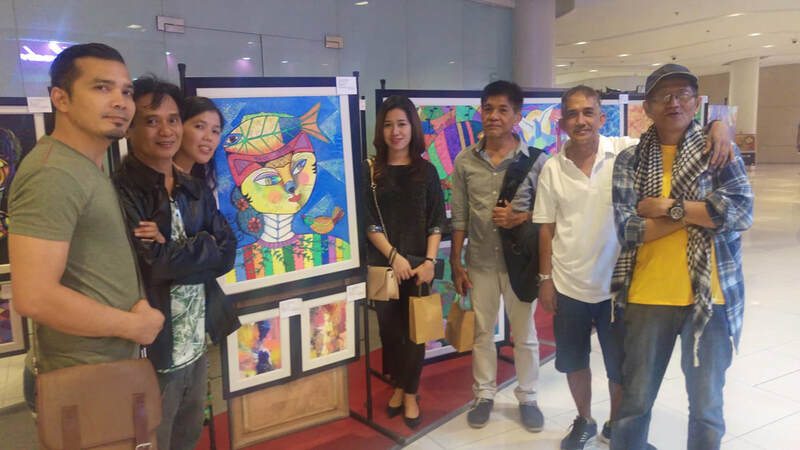 ArtCebu at Jojo Gubalane's "Colour My World"
Last November 24, 2018, Cebuano artist Jojo Gubalane launched his one-man show entitled "Colour My World". The exhibit is Jojo's third one-man show and features over forty of the artist's most vibrant, charming, and colorful artworks to date. The launching was intimate and personal for Jojo, who himself did most of the preparations. Among the guests that attended were family members, friends, fellow artists, and ArtCebu team members who participated during the program. Below are some of the photos taken from the exhibit launch. ArtCebu, in partnership with the Cebu City Museum, is currently holding a multiple-artist exhibition. 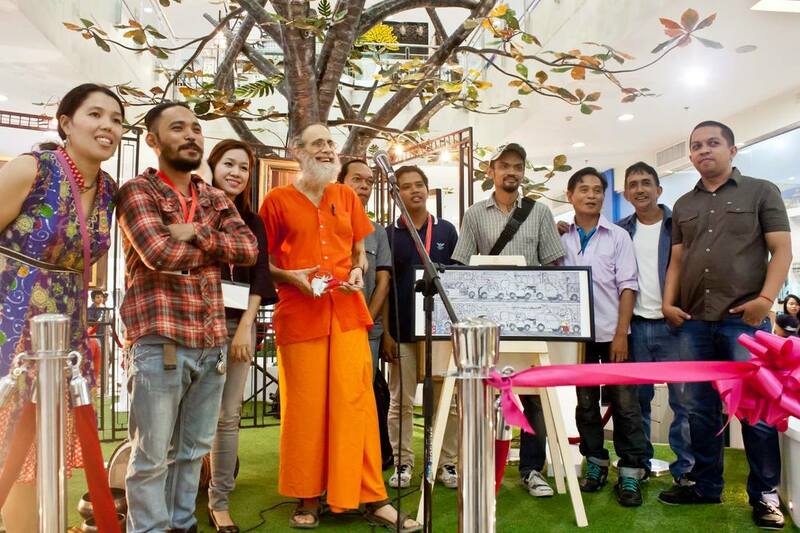 Among the artists being featured are veterans Jesse Rona, Jess Najarro, Alan Dimayacyac, Jojo Gubalane, Ramon de Dios, Emmanuel Iradel, ​and Benz Flores. Other artists featured are Lida Aguilar, Lito Reynaldo Egam, Eric Chris Almaden, Rainer Duhaylungsod, Mean Mustard, Jun Dale Bebita , Rhea Victoria Rosacina, and Jerome Castillo. 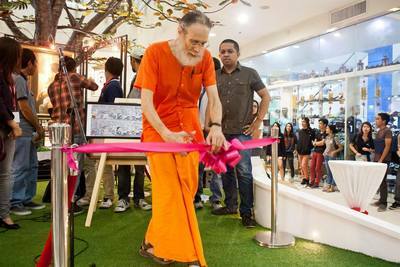 The exhibit opened last October 27, 2018 and will end on November 17, 2018. Entitled “Paglatas sa Katuigan”, the exhibit features artworks that convey the changing beauty of Cebu, its people, culture, and landscape through time. “Paglatas sa Katuigan” coincides with Cebu City’s celebration of October as Museums and Galleries month. 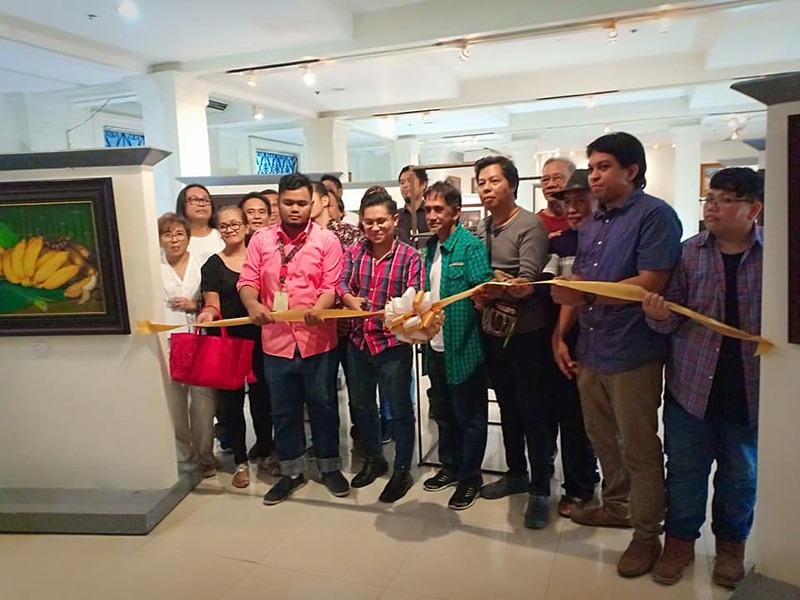 Its reception at the museum (second floor of the Cebu City Public Library) last October 27, 2018 at 6:30 PM was attended by artists, special guests, and friends. The reception was simple but intimate, with focus on one-on-one interactions with the artists. Artists Allan Dimayacyac and Jesse Rona shared insights and their perspective about art in Cebu as it evolved through the years. 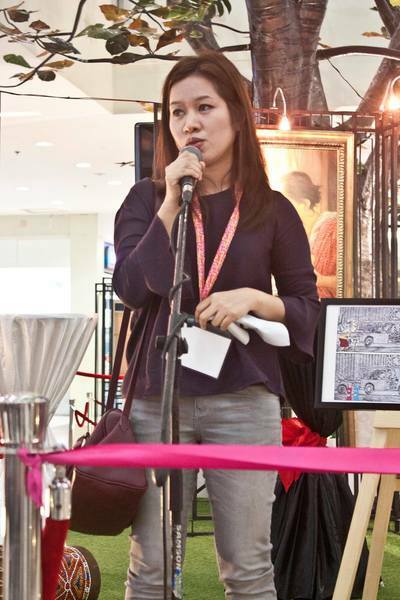 Photos from the launching may be viewed at ArtCebu's Facebook page. Artworks may be viewed at the Cebu City Museum from Monday to Saturday, 9:00 to 6:00 PM. For additional information please contact the ArtCebu Team, info@artcebu.com or 0927 982 0666. What happens when a still camera romances some of Cebu's finest rock bands in the last three years? "Musika," an exhibit of 22 music photographs by freelance photographer Kathy Zialcita, reveals the run of this 3-year romance. On display at the Outpost café in Lahug, "Musika" is a collection of her favorite photos of local musicians. Apart from immortalizing Cebu's music scene, "Musika" is distinct for its composition; the romance of grainy textures with each musician's character. "I don't want it too clean like what you see on the billboards. They're just too clean and too perfect," explains Zialcita. "Y' know, when you take something that's too perfect, it's not human anymore. I like it a bit messy. I don't care if naa sila'y (they have) wrinkles or scars on their face - It's part of their character. You make use of it because it's them. It's not you, it's them." Right before turning her lens to musicians, Zialcita worked as a freelance photographer, shooting furniture for an export company. 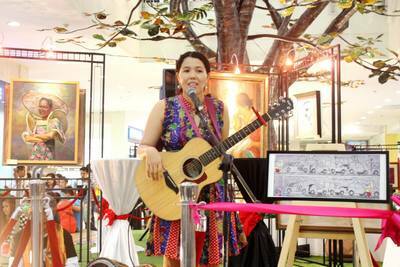 The story of her "Musika" began when a friend noticed her work some years ago. Impressed, Zialcita's friend suggested that she try portraiture. Deciding to give it a spin, Zialcita talked to Budoy (of Junior Kilat) and offered to do a shoot - free of charge. Thus, from shooting wood and furniture, she took on a new subject - rock icons. Junior Kilat was very impressed, to say the least, and soon word spread about her work. Alternative rock group Sheila and the Insects was one of the first bands to hire Zialcita for their publicity collaterals. When the SATI photos landed in several newspapers, magazines, posters, and websites, other bands began booking her for photo shoots - Zarah Smith, Hastang - the list goes on. Zialcita says that she prefers rock 'n' roll personalities over fashion models, saying that dealing with each bands is always a new experience. "I tried fashion and it's ok. I can do it but it's so much easier to work with models. You don't have to make them comfortable because they're already comfortable. The way a fashion shoot works is, models have their stylists and basically all you do is look for a perfect shot. That's it." reveals Zialcita. During band photo sessions, Zialcita seeks inspiration by listening to music, something she says keeps her in the drift. Music is one of Zialcita's comfort zones; allowing her to embrace the more arduous passion of photography. Thus, the theme of her exhibit. To an extent, "Musika" proves that local bands don't need to go as far nor spend a lot just to get a photo that matches their character. Zialcita says that one of her goals for the local music scene is to help bands make good impressions through quality pictures. "I don't want people to think that bands from Cebu can't afford good publicity photos" says Zialcita. "I don't want them to think that the pictures (look) so cheap. No matter if it's a pro-bono or magpabayad ko (I get paid). I still want the best for each band." A fitting tribute to Cebu's music scene. "Musika" will run until March 17, 2007. All 22 images of the exhibit are arrayed around the Outpost's music area, posing as the stage backdrop. To the left, is an array of scarlet-hued images of band members from Powerspoonz. To the right, are canvassed versions of Island Joe, Faspitch, and Sheila and the Insects, to name a few, along with a couple of live performances frozen in time. While "Musika" is her debut exhibit as a freelance photographer, it is definitely not the last. These are just a few tidbits of what's in her stockpile. "Those photos are what I frequently look into," adds Zialcita. Besides, people are begging for the second, even third exhibit; Musika has already hatched quite a few jealous reactions. But their fears are of no consequence. Already in the works is another batch to be exhibited sometime in June or July, this year. Zialcita hasn't sang her swansong - oh no, not by far. She's just warming up. 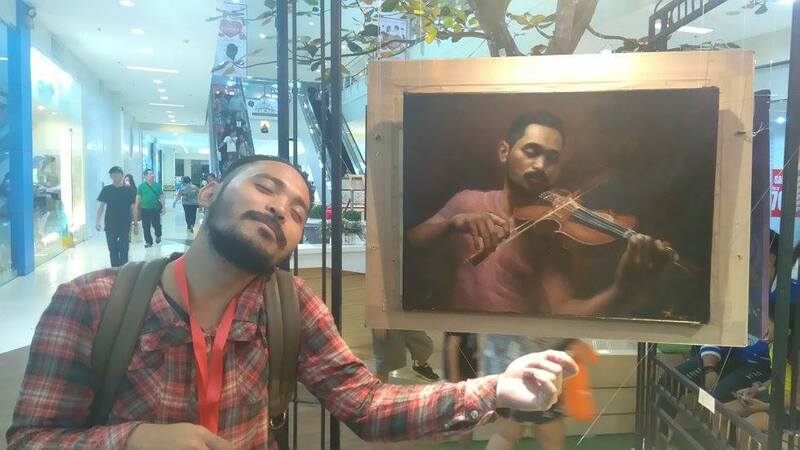 FALLEN ON DEAF EARS is the first solo exhibit of Arvin Darwin C Magbutay, a graduating student of College of Architecture and Fine Arts of the University of San Carlos Cebu. "FALLEN ON DEAF EARS" is the interpretation of social realism on the perspective of the artist.Ideas and thoughts were magnified and presented in pure representational form. Bisrock, or "Bisaya nga rock," has had phenomenal success in recent times, so much so that even local FM stations who have snubbed Bisaya songs before are now giving original Bisaya materials regular airplay. In fact, Bisrock's popularity has is so great, it has extended to the rest of the Bisaya-speaking regions in the country. Despite this appreciation for Bisayan songs, a whiplash effect was also felt. In the rush to fill the growing clamor for Bisrock, many have traded quality for instant gratification. It is along this line of thought that the Cebuano Songwriting Seminar/Workshop was organized. It aims to help young songwriters come up with quality compositions while learning from industry professionals about the various aspects of songwriting and recording. Eping of the Ambassadors, Ian Zafra of Sheila and the Insects, Cebuano poet Myke Obenieta of Sun.star Weekend, and Puldo Cañada of Zzubu Studio, and Lorenzo Niñal of Missing Filemon, will be covering five main topics: The first topic will be a background into the Cebuano language; and the second will be about writing lyrics in Cebuano. The third topic will discuss melody and how a 'hook' helps make it effective when composing songs. The fourth topic is musical arrangement, and the last topic will be about using the studio. A veritable host of local reggae's who's who, have been gathered to perform at the "High Noon on the Road to Zion," as tribute to the man who brought reggae to the worldwide stage. The 12th annual Bob Marley tribute concert will be happening on March 24, 2007, at the Paseo Mall in Mabolo, Cebu City. According to Sked Besa, Sigbin Haus, Inc. band coordinator, Urbal, Island Joe, Bambu Spliff, Skunky Muggles, among others, have pledged their support. Furthermore, Sigbin Haus has invited Reggae Mistress and Milagros Dancehall Collective, from Manila, and Dumaguete-based reggae phenom, Enchi, to grace the event. This year's tribute also featured a series of preliminary pocket concerts. These pocket events began with Junior Kilat, last February 6, at the Handuraw Events Café, followed by, "Peek Through the Eyes of a Dreadlock," with notable locals Urbal, Island Joe, Peace 4:20, Pitch Melba and DJ Black Chiny, performing at Club Vudu. The last stop on the road to "High Noon...," was at The Outpost Restaurant and Bar, last February 24, 2007. "High Noon...," will begin with a multimedia show to raise awareness about reggae music, rastafarianism, and the "ital" way of life. A bazaar featuring locally made products will be among the features of the event. Gerard Pareja is the Poet of the Month in the June installment of the “Bantawan sa Bathalad,” a monthly poetry reading initiated by the Bathalad, or Bathalad-ong Halad sa Dagang (Divine Gift of the Quill). “Bantawan sa Bathalad” is a monthly poetry reading session that features the Cebuano poems and prose works by Bathalad members. Pareja, is a noted poet and a professional photographer. He is also a former teacher at the University of the Philippines Cebu campus, and is a fellow of numerous writing workshops. His column, “Salin sa Hulbot” is primarily written in colloquial urban Cebuano. Nearing its third year of existence, “Bantawan sa Bathalad” is a venue for the expression of the Cebuano language, and aims to usher renaissance of Cebuano literature. According to Bathalad president, Michael Obenieta, the activity aims to nurture appreciation of Cebuano language. Local writers and people in the audience are also invited to read their original poetry during the session. The poetry reading activity has only recently begun to feature the Poet of the Month. It broke ground beginning with Cebuano poets Bambi Beltran, Vince Cinches and Kaira Alburo. “Bantawan sa Bathalad” will be featured at the TAPAS LOUNGE, at the Crossroads, in Banilad, this Wednesday, June 20, 2007, and is sponsored by ArtCebu. For inquiries, one may call or text Mitch Tedor (0917.396.4099) of ArtCebu.